This is our stunning Melian Coat! CAW!!!! CAW! CAW!!!!! 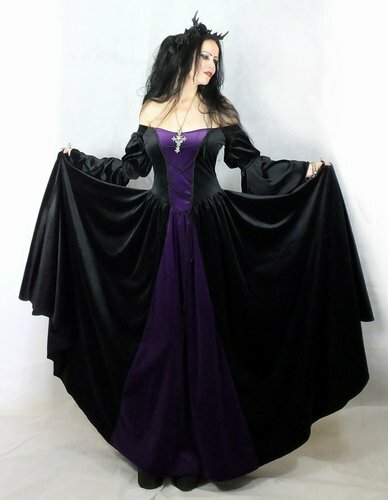 It's soooooooooooo gorgeous and goth, and a *hell* of a lot coat for your pennies :D Simply masses of steamed velvet, so this is quite a heavy coat. It has a massive hood, which is elven in design. And the body has three steampunky antique bronze fasteners. The sleeves are gathered at the top and gathered into the elbow, and then gathered out again into huge flowing cuffs. SOOOOO epic! 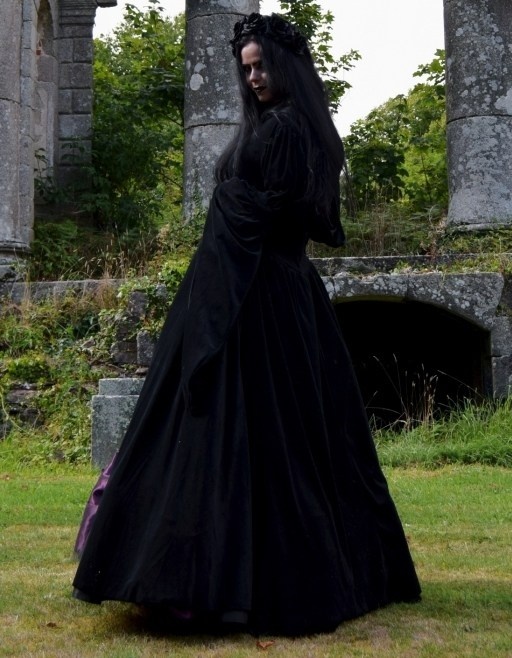 The skirt is amazing and sooooo swirly, I dare you not to dance around a stone circle in this baby!!! It's gathered in at the waist, and has two pockets at the sides which are trimmed with lace!!! It's available in all of our steamed velvet shades!